When Allie joins Team Weller for a mission, she and Jane end up in a dangerous situation. 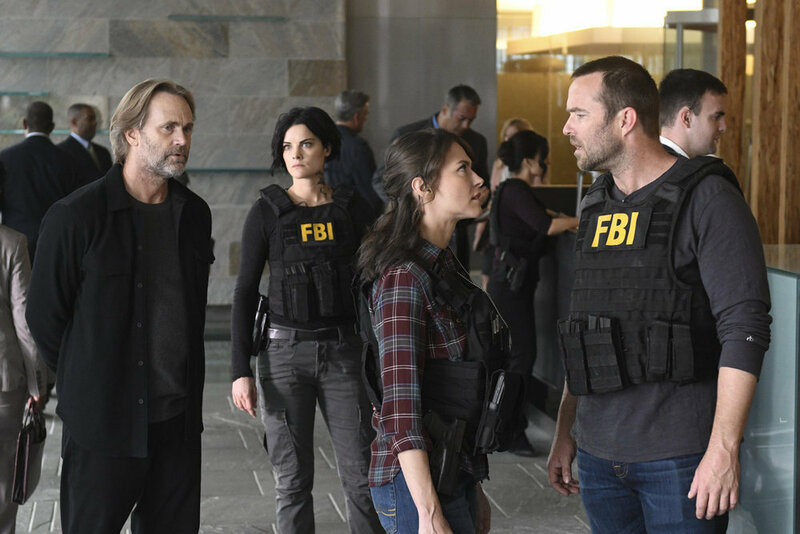 Get a sneak peek of tonight’s Blindspot! You guys, I think it’s pretty clear that most of Team Weller is experiencing some major turmoil. After the addition of Nas Kamal (Archie Panjabi) and a swift kick in the pants regarding Jane, it seems for the most part that everyone is working well together to solve the tattoos and prevent terrorist activity. At the same time, in last week’s episode (“If Beth”) we could see Jane having second thoughts about betraying Sandstorm. Maybe Sandstorm has a point about saving American from government corruption… and with Jane/Remy learning that the Lake Aurora incident (corporations poisoning a whole community and paying off the government to cover it up) hit close to home: Shepherd was poisoned by Lake Aurora’s pollution, which made her infertile and killed most of her family. So who does Jane trust? Elsewhere we see Reade working to uncover memories of potential sexual abuse at the hands of his childhood coach. Zapata is the only person who is aware of Reade’s struggle and is trying her best to support him. On the other hand, there are pockets of sunshine. So… how long until Jane and the others find out that Weller is a baby-daddy??? The episode trailer and images (below) confirm that the upcoming show is going to be REAL serious, with the potential for heartbreak. YIKES! Watch Blindspot tonight at 8:00pm ET|PT on NBC, and join me to live tweet (@WeSoNerdy) “Condone Untidiest Thefts”!